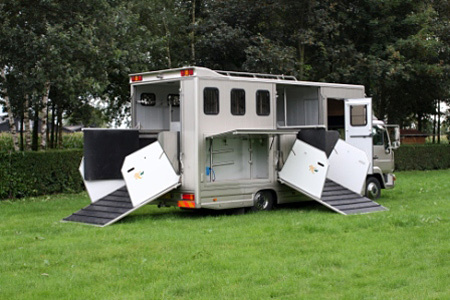 Once you have bought a quality horse from Dutch Premium Horses, it is only natural that he wants only the best quality when it comes to transporting the horse to its new home country. Dutch Premium Horses only contracts leading transport companies with ample international experience offering the best possible care for your animal before and during the transport. All companies selected share the same high service standards. This also means that the jungle of regulations and paperwork is of no worry for the customers. Dutch Premium Horses and its partners take care of it. Comfortable, ample spaced boxes are accommodating the horses during the inevitable quarantine period. Optimum care for the wellbeing of the horses is guaranteed. 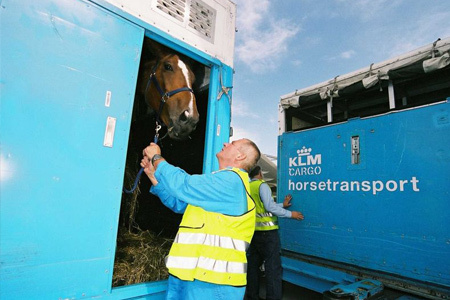 The flight from Amsterdam is by KLM special live animal transport. Climate-­‐controlled, pressurized cabins ensure that the valuable live freight arrives in excellent condition. Their wellbeing is constantly monitored throughout the whole shipping process. For more information contact us.